– This wonderful women’s v-neck fits in anywhere – be it a casual brunch or the summer’s best festival. It’s made from 100% cotton and has a semi-fitted contoured silhouette for a perfect, fitted yet relaxed look. – Did somebody say Country Music & Mimosas? 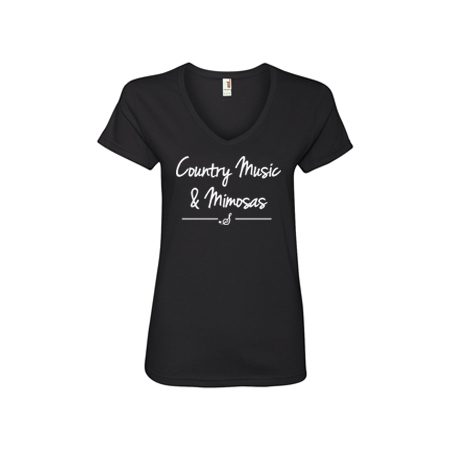 This is the perfect brunch tee for every country fan!